We know that Apple has scheduled a special media event today,where the company is expected to unveil a brand new iPhone running iOS 7. Recent rumors have suggested that Apple will release not one but two iPhones during the event. The Apple iPhone 5S is expected to be the successor to the Apple iPhone 5, while the cheaper Apple iPhone 5C will aim at emerging markets with a lower price tag and an array of colors. Will a cheaper iPhone 5C give the edge Apple needs to compete against entry level smartphones running Android and iOS? Lets take a look at all the rumors that are leading up to the announcement to find out. We know what it will look like, when it might launch, and how much Apple may end up charging for it. Read on as we walk you through all we know about the iPhone 5C so far, based on leaks and rumors. Will the cheaper iPhone be called the iPhone 5C ? 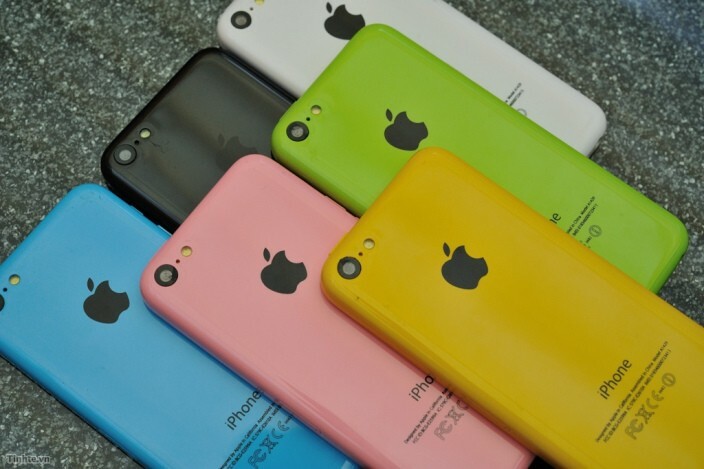 The plastic-made iPhone 5C is expected to come in several colors. The only piece of evidence in favor of this name in a photo allegedly depicting the handset's retail packaging. The plastic boxes caught on camera have "iPhone 5C" written on them, with C supposedly standing for "color". A recent leak exposed the user guide for the iPhone 5C, so that's most likely the name we should be expecting. Unlike the last several iPhone models, the iPhone 5C will be made of plastic – that's pretty much set in stone as the smartphone's casing has already been leaked dozens of times from various sources. However, the plastic of choice will most likely be of high quality. Actually, it might have relatively high resistance to scratching, according to rumors. Moreover,the iPhone 5C will come in a range of pretty colors, including red, green, blue, yellow, pink, and white. At the same time, we're confident that the iPhone 5C will adopt a number of design cues from the current iPhone model, although it may be a tad thicker and heavier. We're expecting the same form factor, button layout, and screen size found on the iPhone 5. What are the iPhone 5C hardware specs? It is believed that the iPhone 5C will be very similar to the iPhone 5 in terms of hardware. That means it is going to have the same 4-inch LCD display with resolution of 640 by 1136 pixels, a dual-core Apple-made SoC backed by 1GB of RAM, and an 8-megapixel auto-focus camera with a single LED flash. A 1.2MP cam for selfies should also be present. Storage space will be internal only, as always, with either 16,32, or 64 gigabytes at the user's disposal. No word on battery capacity yet, but the iPhone 5C battery isn't likely to be much larger than the 1440mAh cell currently used in the iPhone 5. Will the iPhone 5C run the full iOS 7? The iPhone 5C will come running iOS 7. The latest version of Apple's mobile OS will be ready just in time for the launch of the iPhone 5C, bringing a boatload of new features and improvements over last year's iOS 6. These include the overhauled platform user interface with improved multitasking, automatic app updates, redesigned notification panel, Control Center, AirDrop, and more. The real question is whether the iPhone 5C will get all of iOS 7's features or just some of them, leaving the best for the higher-end iPhone 5S. But since the iPhone 5 will be getting the full iOS 7 experience, we see no reason to believe that the iPhone 5C user experience will be limited in one way or another. When is the iPhone 5C going to launch and for how much? Now that's a good question. Unfortunately, we cannot give a solid answer yet, but rumors are pointing at a September 10 announcement for both the iPhone 5C and iPhone 5S. Then several days later, on or around September 20, the former should already be available for purchase in the US. The exact days might be different, however, as other rumors are suggesting that the iPhone 5C won't be out until October. Pricing is supposedly set at $99 on a 2-year contract with a US carrier, or around $400 to $500 with no obligation. UPDATE: Accessory makers are planning on shipping their iPhone 5C gear on September 20, so that's most likely when the smartphone is going to launch. China Mobile – the world's largest carrier – is said to be among the carriers that will be offering the device. You can read the iPhone 5S rumor roundup here.